Community Builders: Roxanne Schnitzler & Jessica Rediske: Red-Roxy Quilt Co. 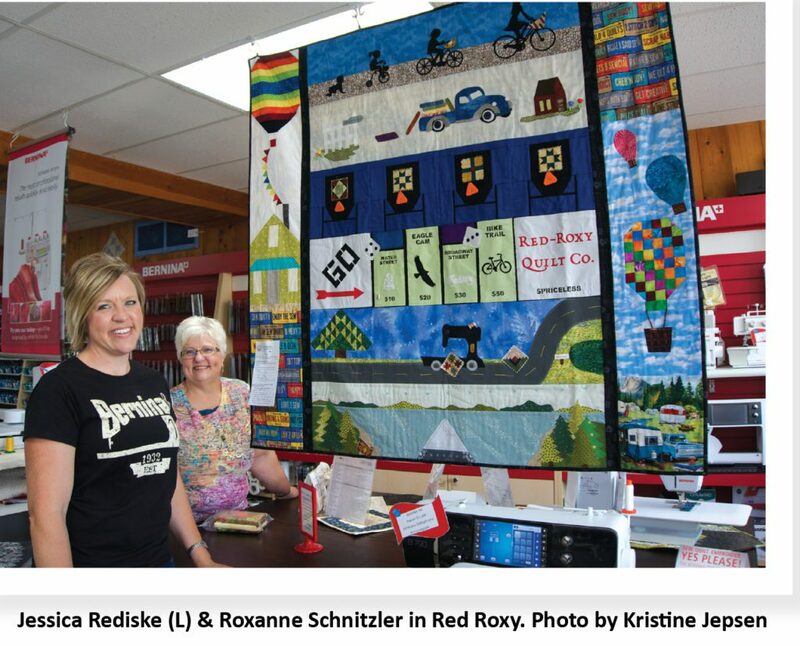 When Roxanne Schnitzler and Jessica Rediske opened Red-Roxy Quilt Co. on Water Street in 2013, mother and daughter were already pretty well known around town. 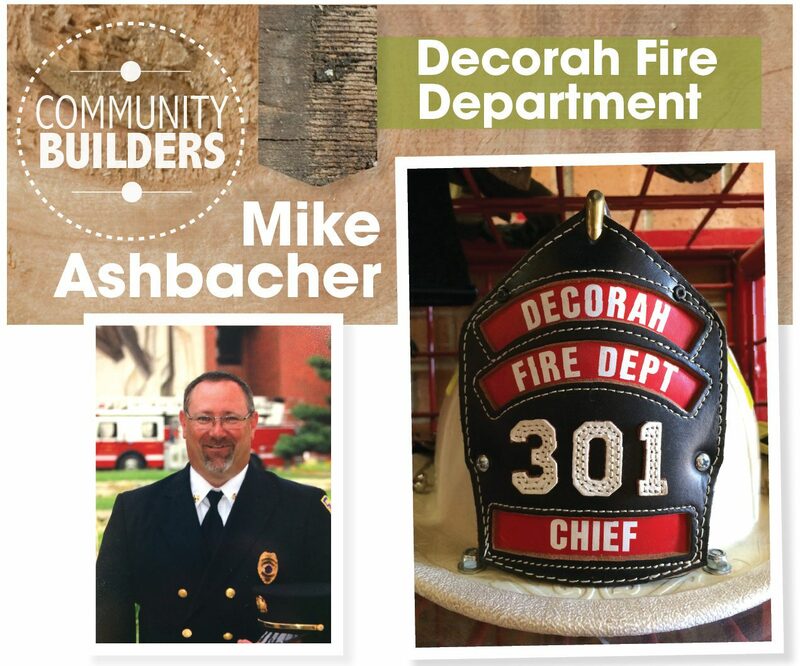 Roxanne was an administrator in the Winneshiek County Sheriff’s Office, and Jessica was a loan officer at Viking State Bank, both based in Decorah. “But who really likes to go to the bank?” Jessica says with a questioning look. “Or to jail? !” adds Roxanne. “This business is a different ball game: People are so happy to be here,” Roxanne concludes. Crafting is, one might argue, in their DNA. Roxanne has served as clothing superintendent for the local 4-H chapter since her own kids were in the club. Today, machine embroidery is her strong suit (she stitched the logo tapestry that greets visitors at the Red-Roxy checkout). Jessica, for her part, is a natural problem-solver and quickly took up the Bernina sewing machine repair and warranty work that came with the business. They divide the required management between them – more amicably than either imagined. “We didn’t really know how it would go, to be honest,” says Jessica, whose day starts early with the milking of 75 registered Holsteins on her family’s farm. “What’s surprised us most is how diverse the quilting community is, right here in our rural town.” One of the first of Red-Roxy’s many ongoing classes, exploring “100 Modern Quilt Blocks,” drew 36 people, ranging in age from 21 to 85. 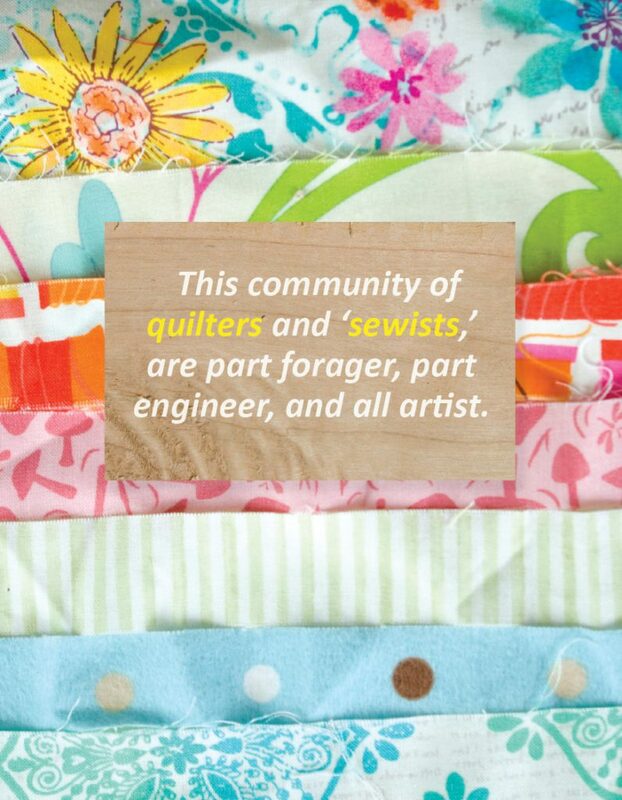 This community of quilters and ‘sewists,’ they say, are part forager, part engineer, and all artist. Even though Red-Roxy stocks 3,000 bolts of fabric, folks know that when any given batik or double gauze or true-blue cotton is gone, it’s gone – as in, perhaps not even available from the manufacturer – and they pore over them with the precision of gem buyers, piecing together just the right combination that will make their next project shine. Jessica and Roxanne decide which of these fabrics to buy a year or more in advance, often at huge market shows that feature thousands of designers and vendors, all vying to get their limited-time wares out on shelves. Then there’s the magic of bringing a quilt, wall-hanging, or piece of clothing to life, full of angles, measurement, cutting, and of course, sewing. Red-Roxy sells kits of pre-cut fabrics, ready to be stitched into blocks, or staff can advise on how fabrics will (or won’t!) work together in a pattern. True to the nature of ‘patchworking,’ Red-Roxy is a stop on the All Iowa Shop Hop each June, in which crafters get access to exclusive fabrics and discounts as they pick a little here, a little there from the circuit of nearly 100 stores. Red-Roxy also contributes to “Row by Row,” an international event each June through September. Central organizers choose a theme each year (2017 was “On the Go!”), and shops design and cut unique kits that comprise one row of quilt blocks. The first crafter in each store to complete eight rows, each representing a different store’s local flare, wins that store’s Row by Row prize: a valuable bundle of ‘fat quarters’ (quarter yards of fabric). 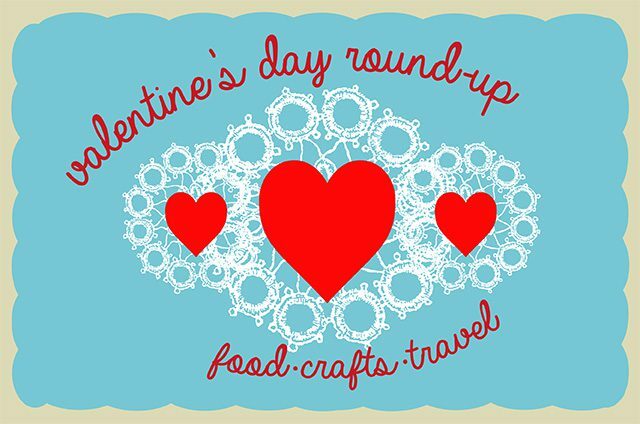 But Jessica and Roxanne say quilters’ true colors come flying out in the store’s dedicated craft retreats, winter and summer, as well as “Fridays After Close” (FAC for short), 5pm to midnight, once a month. The adult version of a lock-in, these retreats allow crafters to bring their current project and machine and just dial in for hours. 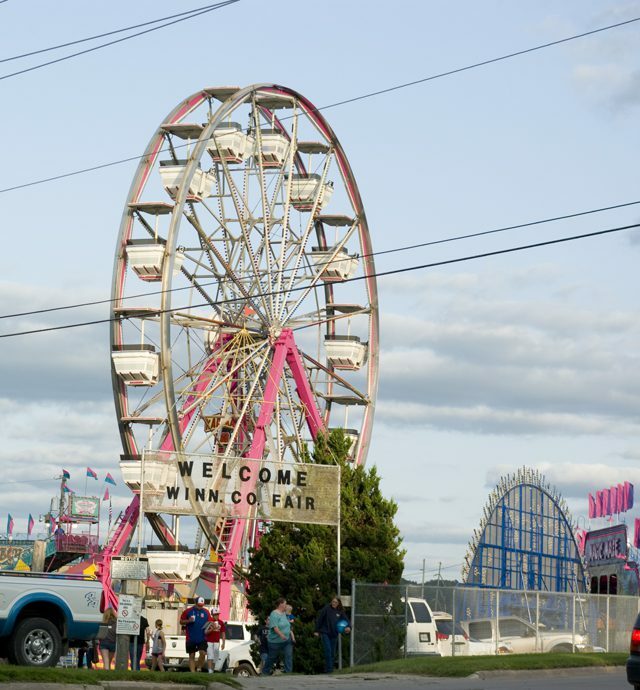 Fair Time is Fun Time! Here at Inspire(d) HQ, we value positive news. Friends, family, neighbors who do good things. Ideas that make us think. Optimism. We believe that people are, as a whole, good, and that tiny changes can turn into big, world changes. Science, You’re Super : Garlic! Make a Paper Gnome Hat (Plus Beard!)! 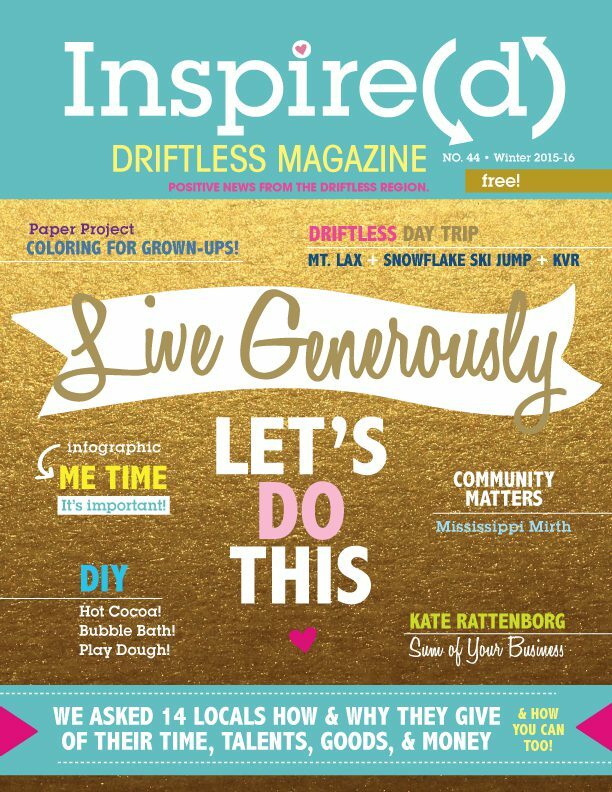 Read the Spring 2018 Inspire(d) Online! © 2019 I Love Inspire(d).